Graduated and returned to this city from United Kingdom in 2012, Nicole Wong is aware of visual poetry and flaws in perceptional understanding. Her work is always a parody of an ordinary scenario, constructed by found materials and sound recordings. Visualizing humorous and poetic potential within everyday objects, her sculptural work associates the manner of paradox and the philosophical. She singles out the essence from the mundane which can be neither truly remembered nor forgotten. The artist encourages viewers to renegotiate clichés from a brand new angle in the most contradictory harmonies performed by her multi-media work. Nicole currently lives and works in Hong Kong. 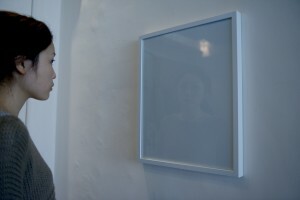 Her works were recently exhibited in Hong Kong, the United Kingdom and Korea. Her latest works were shown in her solo exhibition “Day in, day out” (Rossi Rossi London, London, 2016) and the joint exhibition “Songs without Words” (100 ft. park, Hong Kong, 2016) and “At Wit’s End” (Asia Culture Center, Gwangju, 2016).